The swimming pools will be open from May 18th. 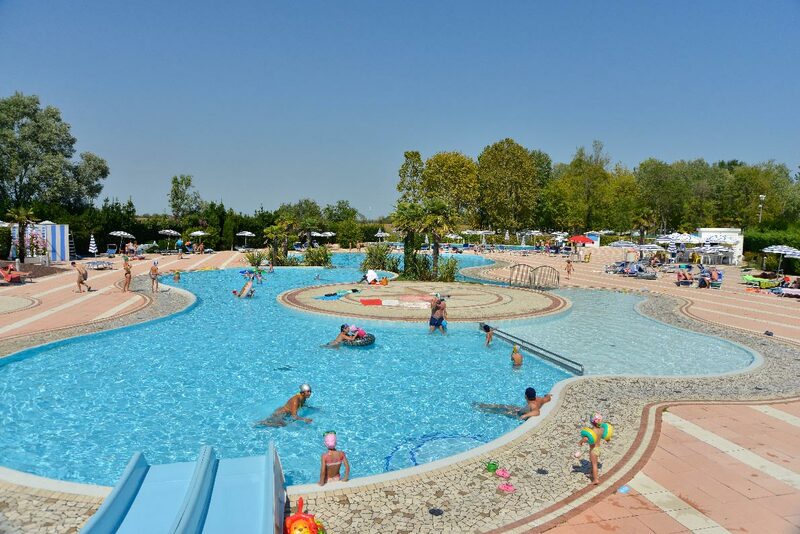 Camping Laguna Village is your campsite with swimming pool in Caorle! 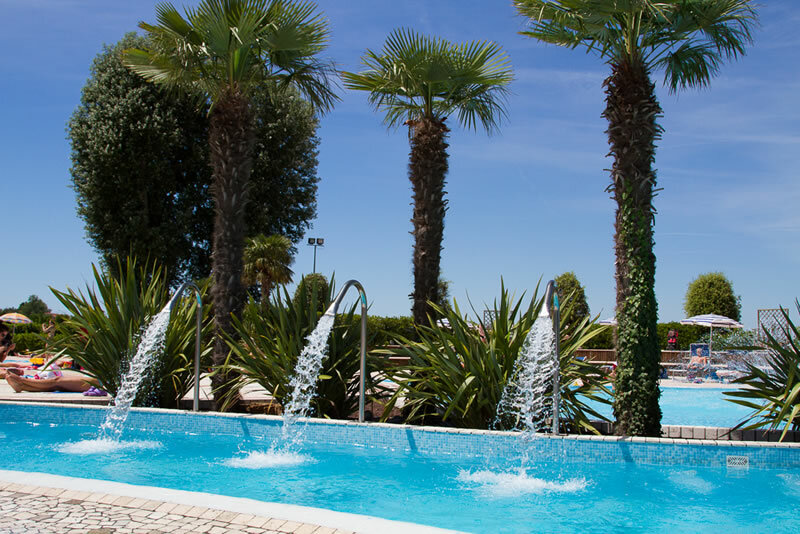 For your moments of relax and leisure we realized three different pools inside a swimming-pool area with panoramic view on the beautiful countryside. Swimming pools are open all days from 10 am to 7 pm ( in low season from 10 am to 6 pm). Sunbeds and beach umbrellas can be rented on the spot (2 sunbeds + 1 beach umbrella € 5 per day. Large and three-height swimming pool, from the lowest one thought for toddlers who can start familiarizing with water to the one for adults including pool-edge massage plus a slide area for children willing to take some dives. 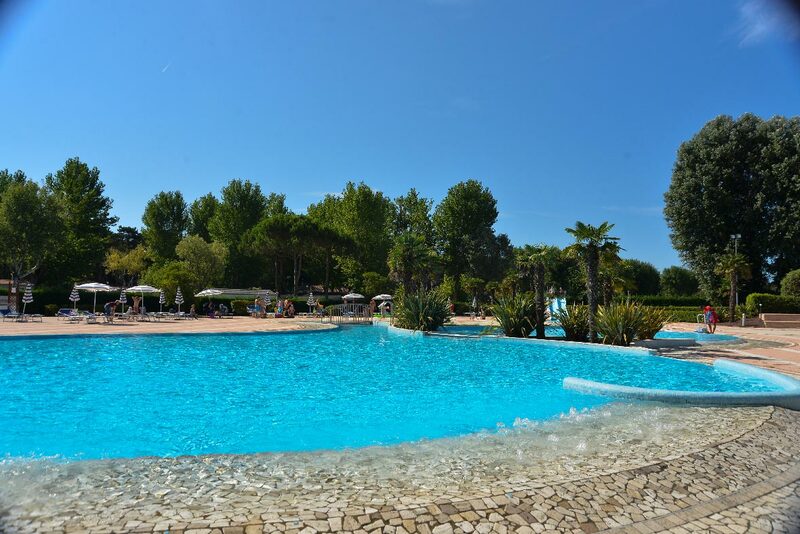 Pool recommended to adults and boys who prefer swimming in all peacefulness without toys or playgrounds nearby. Stable depth of 130 cm, measures mt 12,5 x 25. Beautiful circular whirlpool tub for 22 people, exclusively created for adults to donate pleasant moments of relax Diameter mt 3.